If you suffered from breakouts when you were younger, or if you still face them now, you may be plagued with acne scars. 80% of people between the age of 11 and 30 have had acne outbreaks at some point, so scarring is very common. Scars can have a very negative effect on your confidence. Blemishes, blotches and craters can leave people wanting to hide their natural beauty underneath thick makeup. This may feel like it’s the only solution, but it can clog up your pores and increase the frequency of future outbreaks. To avoid this vicious cycle there are many non-surgical ways for you to reduce the appearance of acne scars so that you can feel empowered to minimise your daily makeup, or maybe even go barefaced for a change. Some of these treatments can leave you seeing visible changes instantly that help you to feel more comfortable in your own skin and confident enough to let your natural beauty shine through. Here are just a few of the different treatments available that can help to reduce your acne scars. Despite common misconceptions, dermal fillers are not just for plumping up your lips; they can be used to smooth over indented scars. There are many different types of fillers with varying levels of thickness. The thicker the product then, the deeper it will be injected into the skin to fill scars. The best type of fillers are those composed of Hyaluronic Acid as this is naturally found throughout our bodies, in our skin, joints, bones and eyes. Therefore, when injected into the skin it is naturally absorbed by the body producing more natural results. This treatment will need to be repeated at regular intervals to keep the effects consistent. You will most likely need a top up every six to nine months to maintain the results. It’s also worth bearing in mind that as some scars are deeper than others, they may require multiple treatments to get the best results. Diamond microdermabrasion differs from regular microdermabrasion as it used revolutionary diamond technology and works by removing the thinner layers of skin thus removing the scar appearance. This allows the treatments to be gentler than before, while retaining its effectiveness. Skin peels are non-invasive procedures as they don’t require surgery or even injections. However, they are still able to revitalise the skin, leaving it looking smooth and radiant. It does this by removing dead skin cells and encouraging cellular renewal and collagen production. Often the products we buy from the high street will make our skin appear smooth on a short-term basis. However, the product is only reaching the very top layer of the skin, and that is why the effects fade quite quickly. Instead of trying to repair and cover up the damaged skin, skin peels remove the top layer to reveal the new smoother layer beneath and this produces longer lasting results. Skin peels are popular treatments as the results can often be seen immediately, with clients noticing their skin feeling softer, smoother and glowing. Although a course of 3 to 6 treatments is usually recommended depending on skin type and condition, it does produce brilliant results quickly and can leave you instantly more confident. noticing their skin feeling softer, smoother and glowing. At Aesthetics of Liverpool they offer a portfolio of peels with varying functions and depths. The medical team assess the skin to decide what peel is suitable to achieve the very best results and also takes into consideration your personal circumstances including the amount of downtime that you can or can not have. There is a full range of peels suitable for all depths of scarring and all situations. Another treatment for acne scarring is LED Light Therapy. This is a painless treatment that utilises multiple wavelengths of light energy to reach skin tissue at underlying levels. By doing this, it triggers collagen production and biochemical mechanisms to leave the skin brighter. There are several different colours of LED therapy including blue, yellow, green and red. The specific colour wavelengths can penetrate the skin to treat a vast number of conditions including acne, pigmentation and eczema. Upon your initial consultation, your practitioner will be able to advise you on which light therapy would work best for you. LED therapy is becoming an increasingly popular treatment due to its immediate effects. The treatment delivers optimal results through decongesting and calming the skin, with most clients seeing results after just one treatment. However, the best results are usually seen after a course of eight treatments. During the treatment, the LED light is placed over the desired area for around 20-30 minutes, and there is no pain or discomfort. It is a gentle and heat free treatment that is suitable for all skin types. This treatment is perfect for those with sensitive skin. Clients with more severe acne scarring can now benefit from a really advanced treatment called the SkinPen, which is a microneedling collagen induction therapy device that inserts minute pinpricks into the surface of the skin to stimulate a healing response. The body responds by releasing growth factors and cytokines that act to remodel the collagen and elastin that keep the skin smooth. These natural chemicals rebuild the injured skin by stimulating the development of both new collagen and elastin cells and a new blood supply to the wounded skin. When the wound heals, it is made up of new collagen that can contract to tighten the skin. Tighter, smoother skin is the result after using the Skin Pen for getting rid of acne scars. loses moisture at a faster pace for up to 20 hours after the procedure is complete. The openings also allow entry to the skin of large-molecule substances, such as dirt, bacteria or skincare products. Consequently, it is recommended not using any skincare products for at least a day after receiving a Skin Pen treatment. Instead, it is necessary to use a nutrient-rich lotion which is provided at the time of treatment containing niacinamide (vitamin B3) to protect the vulnerable skin and help the healing process along. Clients with severe acne scarring who have had a course of Skin Pen treatments have seen outstanding results as well as general improvements in the skin health. 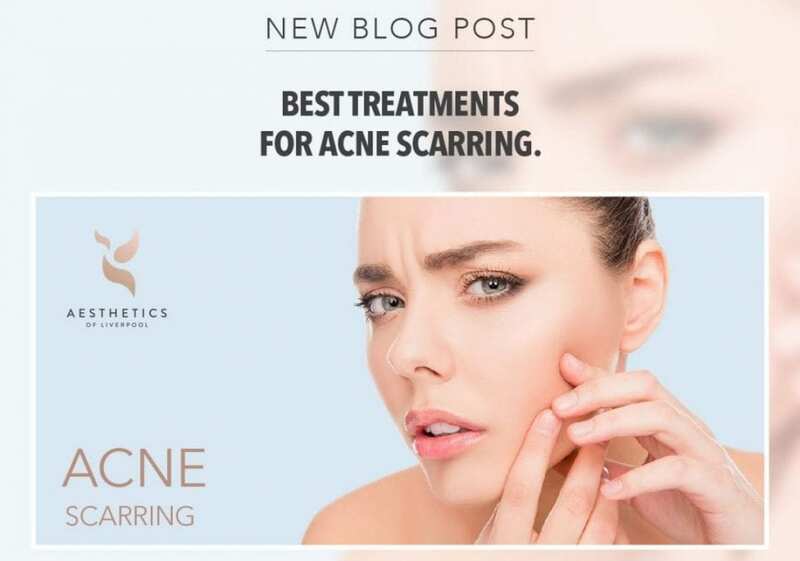 If you suffer from acne scarring and want to boost your confidence, then you should consider one or a number of these treatments. All of them are non-surgical, but still, create long-lasting results that leave your skin looking radiant and refreshed and ultimately can reduce the acne scarring. If you want to learn more about any of these treatments, then contact us today to speak with a member of our highly experienced team who can run you through the available options including a bespoke plan that is suitable for your budget and circumstances.